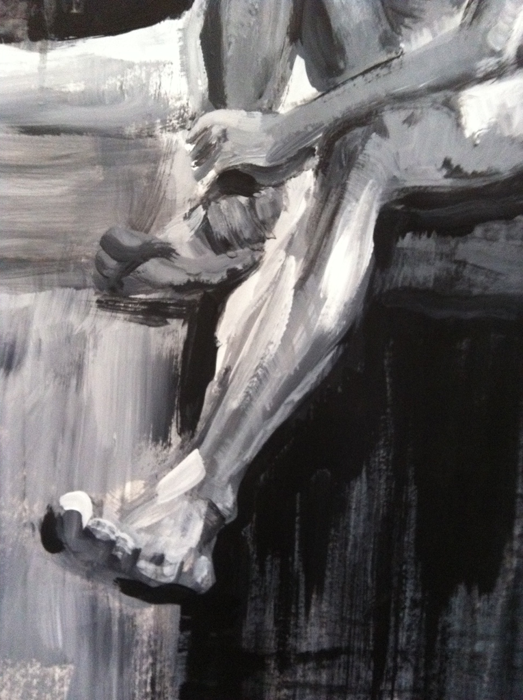 I thought I would write this post, as today was my penultimate life drawing class of term and found myself getting a wee bit upset to think next week would be my last one – or until I sign up for the summer term! Life drawing has been a game changer for me. It’s challenging, engaging, fun and has strengthened my drawing skills. Ultimately, it’s a place to experiment, develop observational skills, mark making and take encouragement from fellow students (maybe, dare I say strike up a little competitiveness in me). I have been attending this particular class on and off for two years. There are still some of the same folk that started with me, which has been really lovely to see them progress and individual styles emerge. I also love this class because of the brilliance of the tutor, who is immensely gifted and gentle in guiding each student throughout the class. 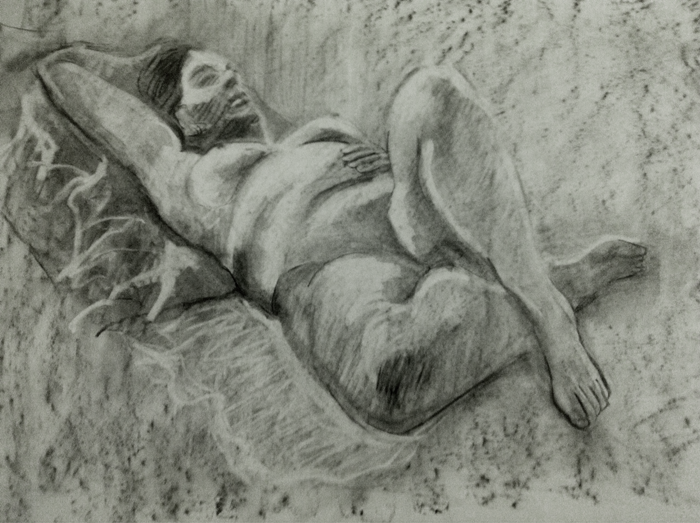 I did however start taking life drawing classes much earlier in life – during sixth form. I was lucky to have an evening course on my doorstep – so to speak – at school. Did I utilise it? Not much. Ahh. The ignorance of youth. And at uni, there was zero… which was really very disappointing. By the end of my degree, I enrolled on a 10 week evening class to build a portfolio. 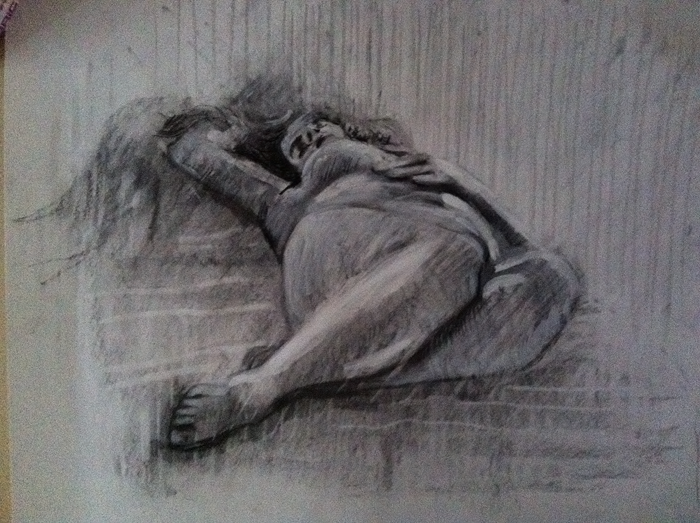 Shamefully I left a large gap before returning to (my now current) life drawing. Now, I wish I could do a class everyday! My boyfriend’s late Granddad attended the Slade before the Second World War, where he did life drawing everyday for at least a year. Needless to say, his work was both prolific and outstanding. On that note… I think I better go and book myself onto the summer term before they sell out! !